London Bridge is a dark, cramped, overcrowded and poorly designed station. It is by no means an adequate gateway into the capital and often adds to the misery of what are (all too frequently) unreliable services for those travelling into central London from Blackheath, Greenwich, Charlton, Woolwich or Plumstead. Its redevelopment as part of the Thameslink Programme will therefore be welcomed by many that hope that it will provide for an increase in the punctuality and reliability of services and a transport hub that is more spacious, better connected and easier to navigate. However, managing the associated disruption to Greenwich line passengers during the redevelopment phase is going to be a major challenge and it’s crucial that everything feasible is done to mitigate it. A concerted effort by local community groups (particularly the Charlton and Greenwich Line Rail Users’ Groups) and elected representatives over the past 12-16 months has won a series of concessions that will go some way to mitigating the worst effects of the rebuild. Yet a series of issues remain unresolved. Having received assurances from Travel Demand Management Board (TDM) representatives that the opening hours of Cannon Street station will be extended later into the evenings and at weekends from January 2015 to match the current evening and weekend opening hours of Charing Cross, could you please confirm whether the extension of evening and weekend opening hours at Cannon Street London Underground station will match those of Cannon Street station? 1) What length of trains will be run in the 16.30 – 18.30 period? 2) Have the technical issues been resolved that will allow 12 car trains to be run through the Greenwich Line in this peak time period? 3) If 12 car trains are to operate in the peak period will passengers that live in Woolwich but are unable to alight from 12 car trains at Woolwich Dockyard and must therefore disembark at Woolwich Arsenal be compensated for the additional Zone 4 fee that will be incurred as a result? 4) What impact will any redistribution of carriages to maintain capacity during the peak period have on services off peak? 5) What thought has been given to a publicity campaign to persuade passengers to travel, wherever possible, outside of the 16.30 – 18.30 peak period? 6) The draft timetable indicates that from January 2015 evening services between 21.00 and 23.00 will be based on irregular 10-20-10-20 minute intervals between trains rather than regular 15 minutes intervals. Why is this and can consideration be given to maintaining regular service intervals? 1) Since our last exchange of correspondence in May what progress has been made in terms of the DfT signing-off on the funding required to ensure that passengers are not out of pocket during these works? If the DfT have not yet signed-off the necessary funding, when do you expect them to make a final decision on the matter? 2) Has TfL agreed in principle to cover the cost of any additional bus journeys (e.g. the RV1 or 381 from London Bridge to Waterloo) that might be required from January 2015 as a result of the works? 3) Will the cost of DLR journeys from Greenwich to Lewisham (which are routinely not charged during periods when engineering works are taking place) be covered? 4) Will the cost of eastward journeys on the Greenwich line from Greenwich, Maze Hill or Westcombe Park to Charlton to pick up the trains to Charing Cross (a recognised route during the Olympics) be covered? 5) Has the TDM had a chance to consider what arrangements might be made with Thames Clipper to incentivise river travel during the redevelopment period and so reduce pressure on the Greenwich line? 6) Will publicity be made available at stations and in timetables to direct passengers to alternative routes that might be available at no extra cost? I remain concerned that despite your efforts to provide passengers with information about the impending disruption to Greenwich Line services, awareness among residents in the area remains low. 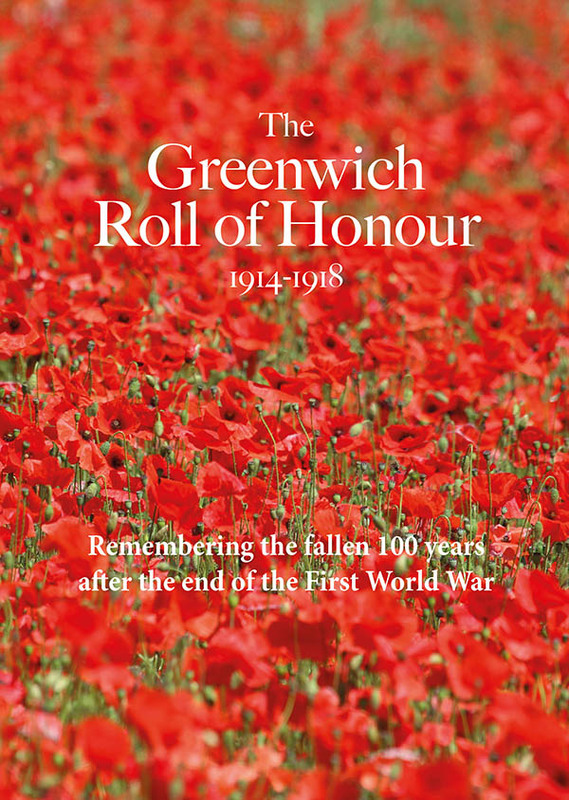 I strongly urge you to consider an extensive communications campaign over the coming months at every station along the Greenwich Line during the morning and evening peak to raise awareness among those who will be affected”. Hopefully we'll get answers to all of the above in the coming weeks. Another thing is should the peak focus be widened from 4:30pm to 6:30pm to say 7pm? I thought half 6 to seven was busier than half 4 to 5 as most finish after 5pm. Could be wrong though. The trains are still very busy after half 4 though and do need lengthening even if Southeastern don’t think so, as currently the 16:39 is only 4 carriages and packed. It seems SE only move to peak time train lengths (minimum of six) nearer 5pm at the moment. I have doubts that merely maintaining capacity with longer but fewer trains for 4 years is enough. Expanded capacity is needed needed now – ideally every available train from 4 – 7pm would be 12 carriages. Thank you very much for your help in fighting for a better deal for Greenwich Line Passengers. I would just like to add one point which is often overlooked by rail operators. Please can everyone who is fighting for a better deal include Oyster fares when making submissions for guarantees that passengers won’t be out of pocket using alternative routes. At times of engineering or other disruption one often sees notices saying that rail tickets will be accepted on other routes but I have never seen a situation where this is guaranteed for Oyster users. Many of us who travel regularly, but not often enough to have season tickets, use Oyster cards and the Oyster fares are greater if you travel by underground or bus as well as National Rail services. This not only includes services to London Bridge, Waterloo and Charing Cross but also stations on the National Rail network that can be reached by changed at London Bridge and Waterloo. I hope that the Oyster system can be programmed so that there are no additional charges for those travelling on the Greenwich Line who have to divert onto underground or bus services to reach other National Rail stations that they could normally reach by changing at London Bridge (this includes all of the southwestern and southern services in the Oyster System as well as London Bridge, Waterloo and Charing Cross). In addition there also needs to be provision for those who are unable to use the underground or buses for whatever reason. This includes both people who travel to hospital appointments in the London Bridge and Waterloo areas and others who may be travelling elsewhere but are unable to use the underground or buses. There are exciting developments taking place in Abbey Wood. Significant work by Crossrail reconfiguring the Rail Station will revitalise the area and provide substantial improvements for the travelling public. John – the crossrail work covers the immediate area around Abbey Wood station, about 100 metres, welcome though they are and badly needed. The rest of the town is a dump and getting worse. Just ASK anyone there. The improvement works, fantastic as they are, cover about 1% of Abbey Wood. Tell someone living by Grovebury Road shops or Sewell Road that things are good – these are areas in a terrible state like much of Abbey Wood (particularly the estate) and 20 minutes + walk to the train station. It really is in a very poor state – ranging from private lettings where landlords allow buildings to get in poor condition, to council owned similarly looking terrible, to the streets. Crossrail is such a game changer the council could be using this to leverage money from many sources to improve the whole town not just rely on crossrail to improve a small section immediately around the station.